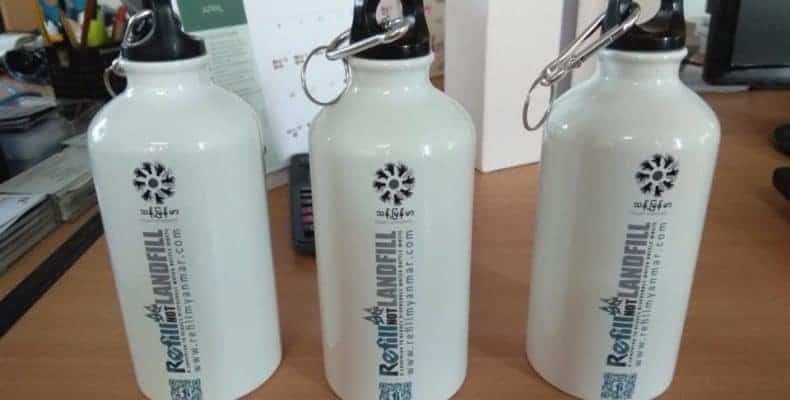 RefillNotLandfill Campaign in the Khmer Media! Now in Sihanoukville and the islands! 2. Customised, reusable Aluminium and Stainless Steel water bottles. Our informal consortium hopes to revolutionise the way that tourists (and locals) consume water in a country where few plastic containers are recycled, with most ending up in mountainous landfills or piling up beside roads, choking the Kingdom’s waterways and littering azure fields with waste. RefillnotLandfill - Asia shared an album. Do you like #RefillNOTlandfill and want to become a #refill station in any of the 9 (soon 11) countries RefillNOTlandfill is now active ? Thant Myanmar plants many many more #refill stations all over Myanmar ! RefillnotLandfill - Asia is proud to partner with Thant bring an alternative to those horrible plastic bottles ! Copyright © 2019 RefillNotLandfill Asia. All Rights Reserved.